Literary figures from a book thief’s library come alive, offering romantic and other advice. The Incunabula is a prize book that the thief has purloined. Will he get away with his greatest theft, or will hard reality intervene to strip him of his prized possession? 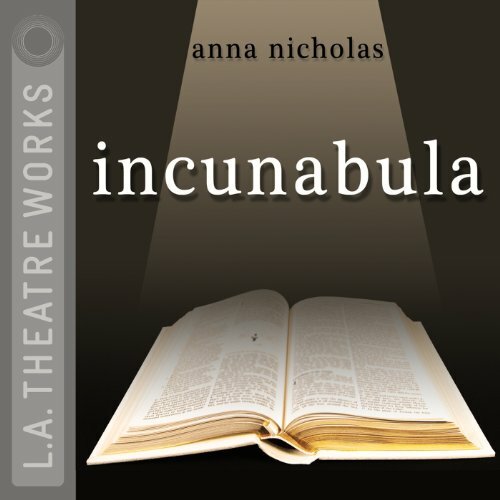 An L.A. Theatre Works full-cast performance featuring Alan Corduner, Ken Danzinger, Joanna Frank, Marabina Jaimes, Alan Raichins, Elizabeth Ruscio, Jeanne Sakata, Carolyn Seymour, and James Warwick. Directed by Robert Robinson. Recorded before a live audience in February 1993.